Haha great review as always. The Ringer's Mallory Rubin and Jason Concepcion discuss ‘Game of Thrones’ Season 1, Episode 10, "Fire and Blood," by unpacking its central theme: rebirth (5:10). They also analyze the backstory behind the “King in the North” title (20:35) and crown a new mother as the episode’s champion (30:40). The Ringer's Mallory Rubin and Jason Concepcion discuss ‘Game of Thrones’ Season 1, Episode 9, "Baelor," by parsing its central theme: the sometimes bitter pill that is compromise (5:50). They also break down the Battle of the Whispering Wood (20:10) before crowning its winner as the episode’s champion (30:05). The Ringer's Mallory Rubin and Jason Concepcion discuss ‘Game of Thrones’ Season 1, Episode 8, "The Pointy End," by considering its central theme: the crucial, life-sustaining practice of building allegiances (3:50). They also review the stories behind the Old Gods and Weirwoods (20:00) and crown another episode champion (31:30). The Ringer's Mallory Rubin and Jason Concepcion discuss ‘Game of Thrones’ Season 1, Episode 7, "You Win or You Die," by exploring its central theme: the importance of legacy (4:50). They also explain the history of the Night’s Watch, one of the central institutions on the show (20:00), and journey south to crown the episode’s champion (29:30). The Ringer's Mallory Rubin and Jason Concepcion discuss ‘Game of Thrones’ Season 1, Episode 6, "A Golden Crown," by analyzing its central theme: loyalty and the ramifications when it becomes lost, gained, manipulated, and muddled (5:00). They also explore the history of the trial-by-combat tradition (19:40) and crown the episode’s champion (28:25). The Ringer's Mallory Rubin and Jason Concepcion discuss ‘Game of Thrones’ Season 1, Episode 5, "The Wolf and the Lion," by examining its central theme: What makes a good ruler (4:25)? They also provide insight on bastards and the importance of a family name (19:05) and crown a pair of schemers as the episode’s champions (28:50). The Ringer's Mallory Rubin and Jason Concepcion discuss ‘Game of Thrones’ Season 1, Episode 4, "Cripples, Bastards, and Broken Things," by dissecting its central theme: the political and personal plots and conspiracies that entangle numerous characters (4:15). They also provide an overview of Dragonlore (19:00) and crown a new episode champion (31:50). The Ringer's Mallory Rubin and Jason Concepcion discuss ‘Game of Thrones’ Season 1, Episode 3, "Lord Snow," by exploring its central theme: institutional decay (6:00). They also explain the history the Mad King and the beef between Ned Stark and Jaime Lannister (17:10) before crowning the episode’s champion (29:00). 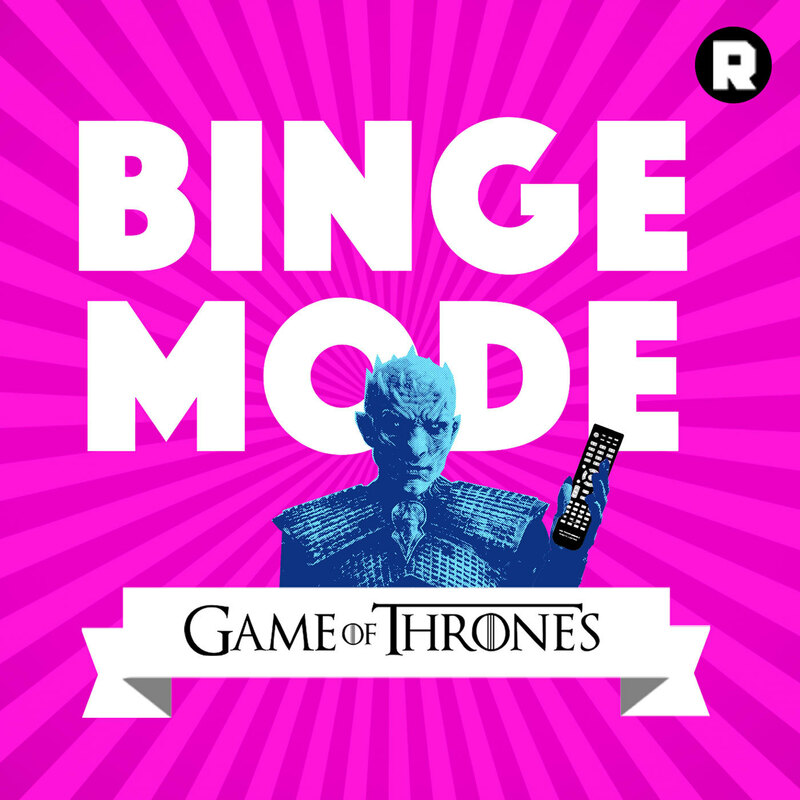 The Ringer's Mallory Rubin and Jason Concepcion discuss ‘Game of Thrones’ Season 1, Episode 2, “The Kingsroad,” by parsing its central theme: transitioning and enhancing one’s agency (6:30). They also discuss Viserys and Daenerys Targaryen’s time as refugees (16:24) and crown a pack of youngsters as the episode’s champions (28:40). The Ringer's Mallory Rubin and Jason Concepcion discuss ‘Game of Thrones’ Season 1, Episode 1, “Winter Is Coming,” by unpacking its central theme: the weight of shared history (7:10). They also provide the backstory of Robert’s Rebellion (19:00) and crown the inaugural episode champion (34:30). The Ringer's Mallory Rubin and Jason Concepcion discuss ‘Game of Thrones’ Season 2, Episode 10, "Valar Morghulis," by probing its central theme: winning the battle but not the war (10:00). They also relate the history of the Fist of the First Men (28:10) before crowning the final episode champion of the season (38:30). The Ringer's Mallory Rubin and Jason Concepcion discuss ‘Game of Thrones’ Season 2, Episode 9, "Blackwater," by exploring its central theme: risking everything (7:20). They also consider the backstories behind the Lord of Light and blood magic (23:30) before crowning an unlikely war hero as the episode’s champion (33:10). The Ringer's Mallory Rubin and Jason Concepcion discuss ‘Game of Thrones’ Season 2, Episode 8, "The Prince of Winterfell," by studying its central theme, fear, and its various manifestations and effects (6:15). They also provide the backstory of the Onion Knight and siege of Storm’s End (28:30) before crowning the episode’s champion (39:00). The Ringer's Mallory Rubin and Jason Concepcion discuss ‘Game of Thrones’ Season 2 Episode 7, "A Man Without Honor," by reviewing its central theme: survival (6:00). They also examine the history of the Wildlings (26:10) before crowning a pair of local rivals as the episode’s champions (35:16). The Ringer's Mallory Rubin and Jason Concepcion discuss “Game of Thrones” Season 2, Episode 6, "The Old Gods and the New," by parsing its central theme: betrayal (7:17). They also delve into the history of the city of Qarth (25:00) before crowning a new episode champion (34:00). The Ringer's Mallory Rubin and Jason Concepcion discuss ‘Game of Thrones’ Season 2, Episode 5, "The Ghost of Harrenhal," by analyzing its central theme: the importance of preparation and planning (6:00). They also detail the battles and events leading up to the assassination of Renly Baratheon (25:00) before crowning a competitor for the throne as the episode’s champion (35:10). The Ringer's Mallory Rubin and Jason Concepcion discuss ‘Game of Thrones’ Season 2, Episode 4, "Garden of Bones," by exploring its central theme: the cost of war (6:00). They also examine the backstory behind the curse of Harrenhal (25:00) before crowning a repeat winner as the episode’s champion (36:00). 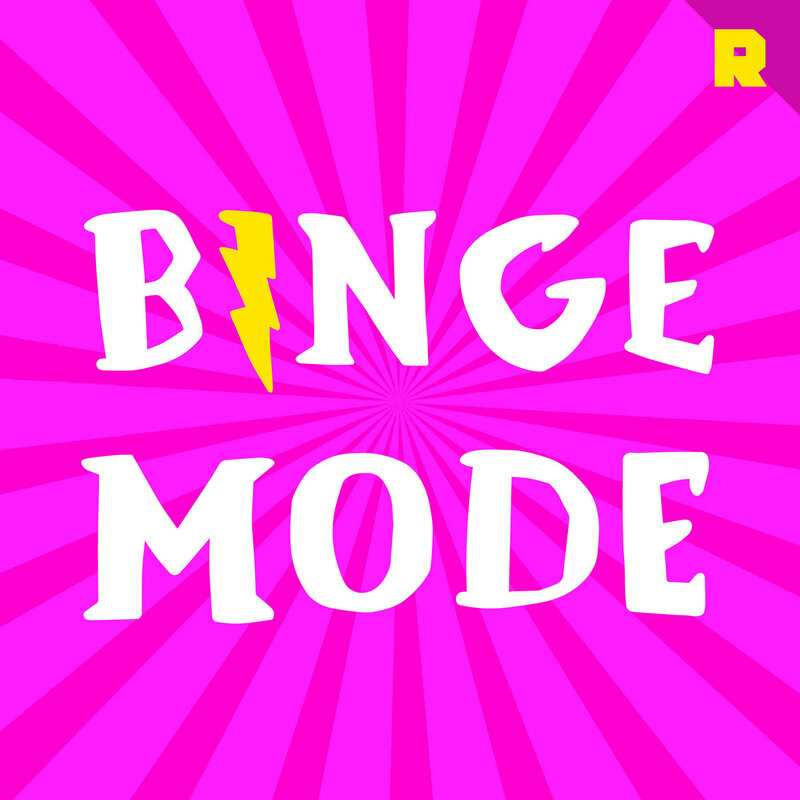 The Ringer's Mallory Rubin and Jason Concepcion discuss “Game of Thrones” Season 2, Episode 3, "What Is Dead May Never Die," by analyzing its central theme: lessons, from both mentor-protégé relationships and broader teachable moments (5:10). They also explain the history of maesters and the disappearance of magic (22:10) before crowning a new player in the Game of Thrones as the episode’s champion (31:00). The Ringer's Mallory Rubin and Jason Concepcion discuss ‘Game of Thrones’ Season 2, Episode 2, "The Night Lands," by parsing its central theme: identity, and how characters are perceived by both themselves and others (5:30). They also break down the backstory of the Greyjoy Rebellion and Iron Islands culture (22:20) before crowning a fan favorite as the episode’s champion (30:30).